After creating headlines during his stay in the west as the world celebrated his endeavors for girls’ education, Afghan youth icon Nang Attal is back to his war-torn country Afghanistan to carry on the journey. fairplanet spoke exclusively to him about his vision for Afghanistan. 26-year-old Nang Attal's self-styled awareness drive, dubbed campaign “sisters’ education”, is already over a decade old. This 2014 United Nations Youth Courage Award winner started from Attal’s family kitchen when, against all odds, he and his mother decided to educate young girls of their village in the restive Maidan Wardak province during Taliban regime. 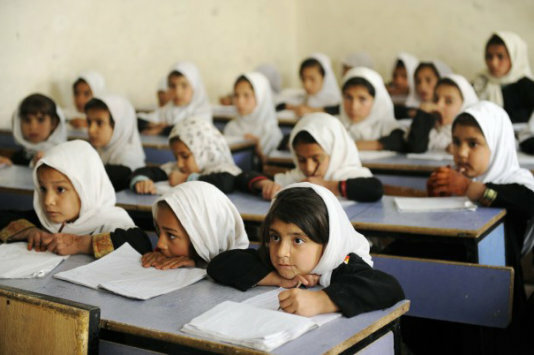 According to UN estimates, literacy among women and girls aged 15 to 24 in Afghanistan has increased to 30 per cent nationwide and to almost 40 per cent among young urban women in Afghanistan. But still, barriers remain, including poverty, socio-cultural restrictions upon girls, poor infrastructure and lack of qualified teaching staff, particularly female teachers. In provinces plagued by conflict and instability, as few as one per cent of teachers are female. In Afghanistan an estimated 3.5 million children are still out of school. 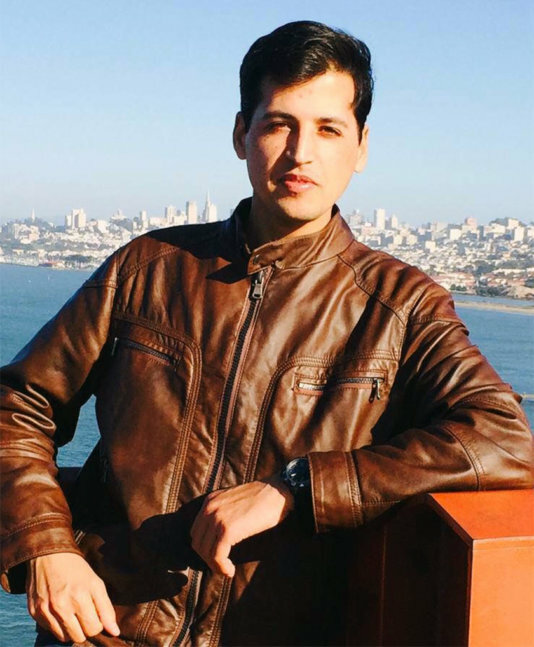 Emerging from a relatively poor part of the country, Attal managed to graduate from Kabul University and went on to obtain Masters at Golden Gate University in San Francisco in the United States while working as a Visiting Researcher at UC Berkeley. fairplanet spoke to this young education campaigner in Kabul about his vision. fairplanet: What vision are you pursuing Mr. Attal in regard to the education, particularly female education in your country that is often described as one of the worst places in terms of security and democratic values? Nang Attal: I want that girls in rural areas must have improved access to education. Parents and families must stand behind their daughters and sisters education. We will not be able to reduce the scale of violence in rural areas unless families and communities stand shoulder to shoulder behind their girls’ education. The core of the Afghan rural problem is lack of education in particular of our women. We need thousands of women doctors in rural Afghanistan to save lives of thousands of mothers and kids losing their lives because lack of access to healthcare. Can you briefly revisit, as we have read, at this young age, you have already been working for quite a while now in promoting education? Yes, I began teaching girls in our house when I was about 13 or 14 years old. My mother was orally teaching basic religious subjects in particular prayers and fundamentals of Islam and she asked me to step in and teach those girls from our immediate neighbourhood how to read and write. The number of girls then increased day by day and we had to seek further support from local elders and district principal for education. What keeps you going? As we see, many youngsters are choosing the other way (departure/ escape from Afghanistan due to ragging conflict and lack of jobs) but in your case we see an optimistic and positive approach to come back to the country and serve! This is the most important question of our time. Here is the thing: my parents did not spare any effort to educate all their children [two daughters and six sons] while they themselves had no formal education. I remember my mother raising chickens, selling eggs and doing handicrafts but she never gave up on our education. I remember my father coming back from seasonal labor from the Khost province [105 miles], I will never forget blisters on his hands but he never left the country and never abandoned their efforts for our education. In the light of this, I have got two things. First, it is time for me to support the education of my sisters and other young Afghans and stand to the last minute as my parents stood on my education. Second, if my parents never left the country during the Soviet invasion, civil war and Taliban regime why do I have to leave the country? As an educated young Afghan, it is time to give back to Afghanistan and not to give up on Afghanistan. The sad part is this, imagine if I was to stay in the U.S. and it would have been very painful to see our country in pain while I could do nothing. I see funerals and coffins of dead Afghans coming to Afghanistan, in particular older Afghans, before they die; they say that I shall be buried in Afghanistan. My feeling is that we do not need dead bodies of Afghans who spent their knowledge and talent outside Afghanistan, we need their talent while they are alive and then they deserve to be gracefully buried in Afghanistan. Why do I have to escape if I have not bothered a single bird in my life? I will never leave. How would you analyze the future prospects for the war-torn country? It is a tough question to answer. The whole region is in turmoil and we have millions of people uneducated. I see that it is going to be an extremely tough future for us and the whole region but this toughness will lay the foundation for a stronger and prosperous society. I see a rising hope at the bottom of the society, it may not be shared by the rich, rulers or power holders but I am an example of those who are coming from the bottom of the society in particular the rural one who wants a country to develop on the basis of an educated society, a fully merit based society, a society that want a nation to stand strong and peaceful in the rainbow of nations. But all this can happen with a sworn determination to educate every member of our society. What immediate and long-term changes would you like to see both on the part of the government and the people to head the country [Afghanistan] in the right direction? The government thing is always complicated and I am not going to state my opinion as I am not entirely familiar with the complications of the way the government works, in particular the current one. But to answer the second part of your question, in terms of people, I want to see a stronger force of mobilized youth. It is going to be instrumental, mobilized in a sense of collective direction. I would like to ask every young Afghan what type of country they want to have? What type of leadership they want to have? What type of society they want to have? How they should be actively participant in a global community? How long shall we beg? I think our younger generation must get mobilized around these questions and similar ones, we have to find a new narrative based upon which we can answer the above questions. If we do not answer these questions by ourselves, others will answer for us on behalf us and I do not think that will work either. Therefore, in the long term we have to change the way we do business within ourselves, with our neighbors and with the world. Share some personal experiences with us. What did you learn in the West that you think can help your country mates here? I learned a lot in the U.S. One thing that we need to have is a productive population. When you come across every Afghan, they want work; no matter what type, they want work. We shall give them work and make them productive. We do have an extremely hard working labor, in agriculture for instance, but overall we must strive hard on how to become a more productive society. A determined struggle always has the chance of victory. Nang Attal engages for girl's education in Afghanistan.